It’s Week 2 of the Movember challenge and there has already been progress on the ‘Mo front from the Partech Team! Along with the good times comes the serious side. Men’s health is in bad shape and we need to take action to change it. The ‘Movember Foundation’ focuses on raising money for mental health awareness and for prostate and testicular cancer. 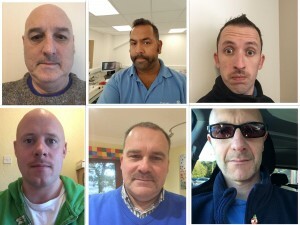 You can show your support for the ‘Movember Foundation’ by clicking here and making a donation – don’t forget to keep an eye on our blog for weekly updates!